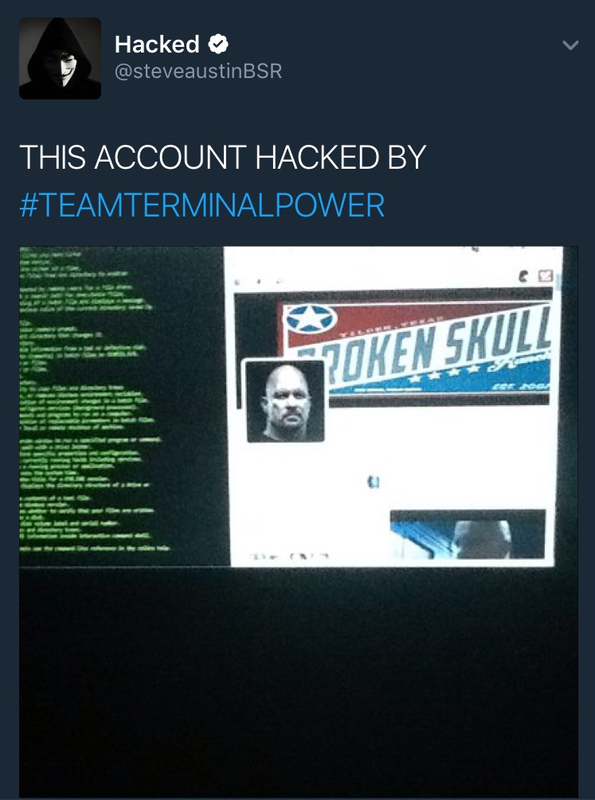 Even retired WWE stars aren’t safe from social media hacking, as evidenced by Stone Cold Steve Austin’s Twitter account being hacked. 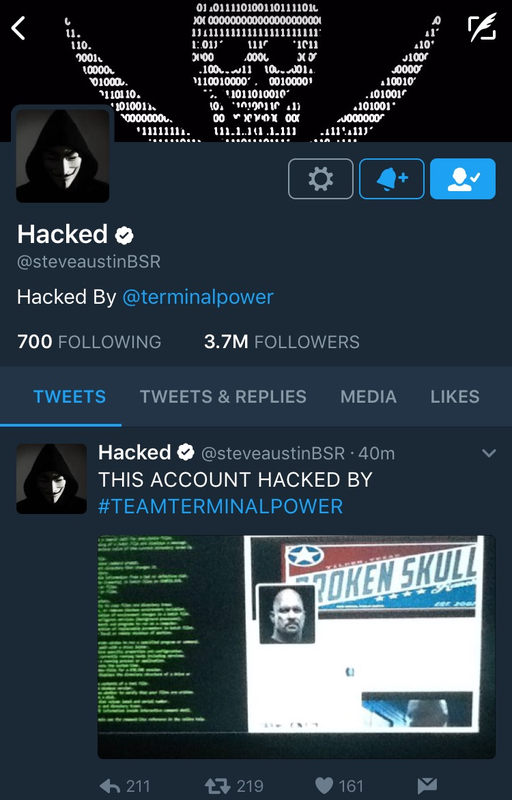 As the 2017 WWE Hall of Fame was getting underway, Austin’s Twitter was hacked with the first tweet being the announcement that Austin was hacked. The hacker then tweeted at Goldberg, who is getting ready to defend his WWE Universal Championship against Brock Lesnar at WrestleMania 33. The hacker tweeted "@Goldberg Your Hear ME? HA? :D??" @Goldberg Your Hear ME? HA? :D?? The two tweets were deleted about an hour after the first tweet had been posted. Below are pictures of the Twitter posts before they were taken down. After the tweets were taken down, Austin's Twitter page no longer had the hacker's profile picture and had been replaced with a blank one and the account banner was replaced with a pink one. Currently, there is no indication that Austin has recovered his Twitter account. Prior to the hacking, Austin's last Twitter post came in the form of a retweet on March 30. In the past few years, several WWE wrestlers had fallen victim to social media hacking, to varying degrees of hacking, such as Cesaro, Seth Rollins and most recently Paige. Daniel Bryan Wants To Wrestle Again, "Work A Much Safer Style"